The brain child of Craft Elixirs, Pioneer square is a fruity candy that is soft and chewy with a fruity morsel inside it. You tend to discover it when you bite through the juicy and flavorful candy. But behold, these are not your regular fruity candies. They are pectin based, gluten free vegan cannabis candies that have a sweet and sour taste. The cherry candy with a fruity centre has a THC dose of 10 mg per chew. Their wide range of handcrafted syrups and elixirs are made to entice and excite the palette of customers who seek a sophisticated blend of flavor and fruity punch. They also offer savory options. One can use these elixirs and syrups to make homemade sodas or top them up on cocktails and mock tails. Serve them on ice creams and sundaes to give your desserts a fruity punch with a twist. Many restaurants who specialize in creative dishes use these syrups in cooking. Another area where these flavors can be explored is baking cakes, cookies and tarts. The options are endless and all you need is a fruity punch bottle to get started. The berries that are used in the preparation of these pioneer square are locally sourced and handpicked to preserve the natural flavors of North Seattle. The freshest produce is got from the farmers to make these edibles and syrups. These fruits are then subjected to extraction. The process uses 100% pure alcohol that is plant based. Organic sugar cane alcohol ensures a gluten free, vegan and allergen free product. The pioneer squares are made up of the following ingredients. Light corn syrup, sugar, water, fruit pectin, red cherries, baking soda, cherry extract, cannabis alcohol extraction, canola oil, citric acid and agar agar. THC infused products have different effects on different persons. The advisable dose to begin with is 5 mg. When using chewable products, it is better to try out only a few pieces to see how fast they affect you. The time taken by the user to begin feeling the effects post ingestion is 30 to 50 minutes. This time will vary depending on whether you are a regular user or a first timer. For novice users, the recommendation by Craft Elixir is Fermont Freaks. These candies have 1 mg of THC in each piece and induce a high that is manageable. You can have it with confidence and without the fear of losing control. In case you are a regular user and your body is accustomed to the effects of THC, then you can try out the more potent options like various concentrates and pure oils available at the store. These squares come in a variety of flavors like Kiwi Watermelon and Pink Lemonade. These artisan fruits chews have a specialty of being low THC and CBD which ensures that the THC intake is controlled. A single piece of the candy contains 10 mg of cannabis.9 % of CBD and 1% of THC per piece. The number of servings per pack is 10. The cost of one pack is 32 dollars. They look like small white squares with a red candy embedded inside. The consistency is chewy and the first taste is sweet. Each candy is individually wrapped. The standard size is 10 mg per piece of candy. But here the pioneer squares in question are slightly bigger in size. The cannabis content and the high are the same but the size of the chewy candy is bigger than others. The taste of pioneer squares is a sour and sweet one. First you taste the bland chewy outer layer and then as you bite into the candy, the reddish centre reaches your palate. There is no hint of the earthy cannabis like flavor that is seen in most of the edible products. The makers have managed to mask the cannabis flavor completely. There is no cherry like taste but the sweetness and sour combined give the effects like a cherry would. The texture is sticky and chewy and you will surely need a toothpick once you have finished eating it. In case you are thinking about sucking it, please do not try as the flavors will not blend in. The real taste is only when you chew it right through the middle into the dried fruit. The aroma is enticing and hits you as soon as the candy gets near your nostrils. It makes your mouth water and want to have it immediately. The high or the feeling that you experience after having one of these pioneer squares is gradual and slow in onset. It will be a while before you start feeling it. Once the effect sets in, it will leave you relaxed and happy for a long time. It is not a stoned high but a mellow one. So be patient and wait for its effect to kick in. It can be very well used in social gatherings or at an evening with friends. 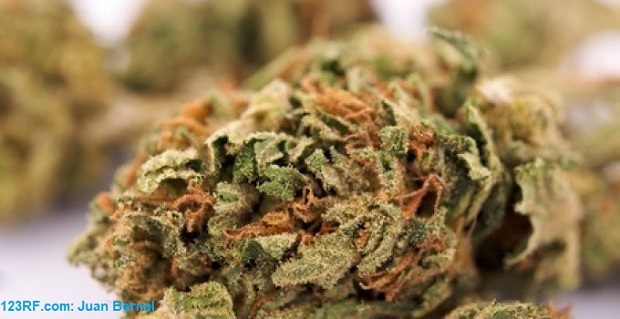 The above data summarizes the effects and peculiarities of this recreational marijuana product Pioneer square Sour cherry. There are few other flavors also available that can be tried if you are looking for some fun with marijuana edibles.